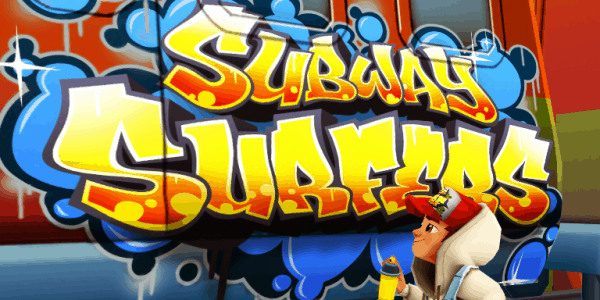 If you are a Subway Surfers player than you might like this article as we offer good advice to improve your experience with the game. You will find some cheats, tips and tricks for a better run and also a good playing strategy. The strategy is one of the best things to study if you want to make a high score at this game. The first advice will be to stay focused and continue playing even if you hit an obstacle such as a board.The game does not end if this happens but the guard chasing you will get closer. You should not hit another obstacle while he is at your back. One of the best things of the game is jumping. If you learn how to control the jumps, you will be able to run some really long tracks. Power-ups will also improve your gaming. Learn what they do and use them when you need the most. You can use the Jetpack to fly over the obstacles, the Super Sneakers to run faster, the Coin magnet to collect all coins and the 2x Multiplier to double your score while the feature is active. Another good tip is to invest your coins in hoverboards. You will be protected for 30 seconds. Be careful not to waste them because they can be used only one time for a purchase. Use them in later stages when it is harder to advance. Also, another good tip is to complete all missions that you have. You will get nice rewards. If we consider the coins, you should get them all, but you can’t do that. However, you need to try to get as much as you can. You can cheat the game by purchasing coin packs with real money. This is a good way to unlock all characters and bonuses. However this is not a very good option so you should better concentrate on collecting them during runs. Subway Surfers is one of the most downloaded games in Google Play and it can become really addictive. You should take advantage of all the tricks and guides to get the longest runs and earn as much points as you can. If you want to add something you can do so by commenting in the section below.